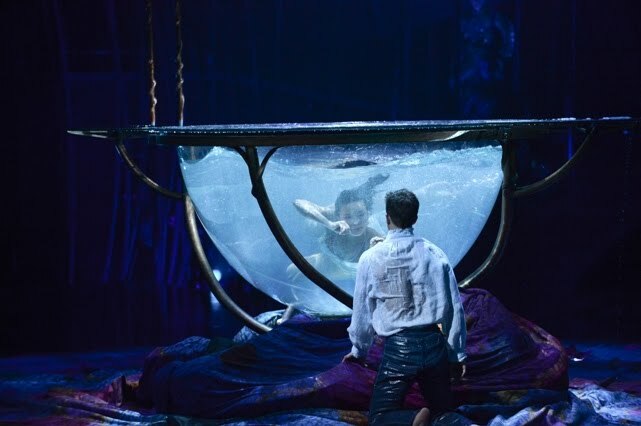 Perhaps the most exciting trend in current theater is the strong emergence of site-specific immersive environments, audience involvement, highly dramatic movement added to music, highly skilled visceral and sometimes sexual performances, along with classical themes. 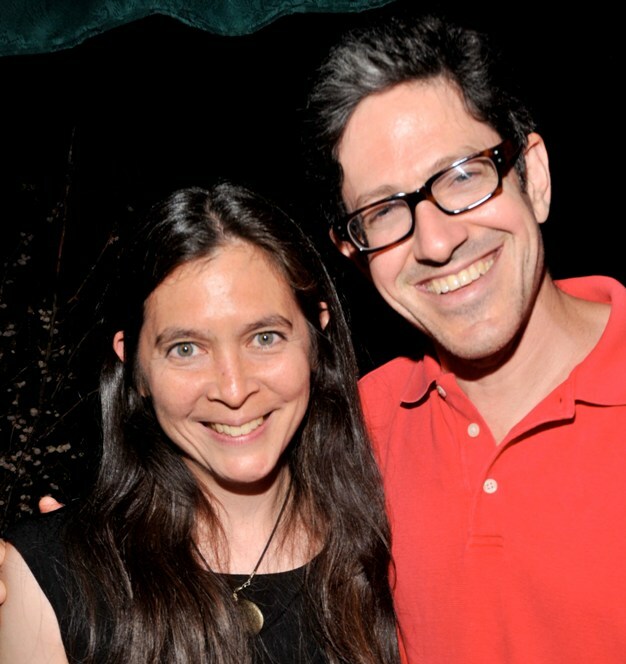 Both Diane Paulus and Randy Weiner are at the center of this theatrical movement. Randy Weiner is a producer of Sleep No More. Diane Paulus directed the revivals of Hair and The Gershwins’ Porgy and Bess (TONY winner this year for Best Revival of a Musical) and she is the artistic director of The American Repertory Theater. I’ve been interested in talking with Randy Weiner ever since I went to Sleep No More. I had the opportunity to meet Diane and Randy at the Music-Theatre Group (MTG) where they were making an appearance on the way to the TONY awards show. 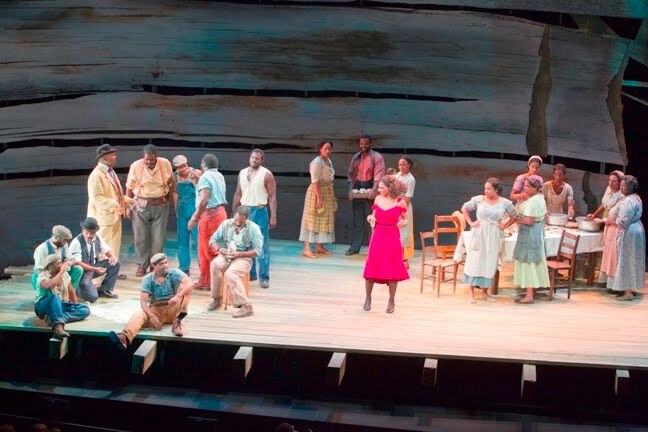 (The Gershwins’ Porgy and Bess was nominated for 10 awards, winning two, for Best Musical Revival and Best Actress in a Musical—Audra McDonald). There was not a lot of time to talk to them – I could have interviewed each of them for hours – but, happily, they also provided a lot of additional information about themselves, with insights into their work, during their appearance at MTG, nicely moderated by Thomas Schumacher (a producer, and President of the Disney Theatrical Group). 2 -- Links to shows by Diane and Randy that are currently playing -- somewhere in the world -- marked in dark red! 6 -- More links - shows that are currently playing -- somewhere in the world -- are marked in dark red! Diane has a serious face, on which great joy breaks out at special moments. Randy has a gentle sense of humor, and a pleasant face which turns serious at important moments. As children, Diane Paulus and Randy Weiner both had parents that loved theater, and took them often. Diane was a ballet dancer and pianist. For Diane, these experiences provided a strong passion for using music and movement to create visceral theater. For Randy, Broadway was just not doing theater right; his theater-going left him with a rich background in theater, but a great interest in creating some other kind of theater. During high school they happened to attend nearby camps in the summer, and when Randy, a runner, could not run because of an injury and decided to take part in a show at the nearby girl’s camp, he met Diane, who was involved in the show. A bit more than a dozen years later they married, in 1995. Diane went to Harvard for political science and Randy went to Harvard as a pre-med. Harvard had no drama department, but it did provide opportunities for each of them to experiment with all kinds of ad-hoc wherever-you-can-do-it theater. Randy found he preferred theater to looking at slime molds in a microscope. But, even as he moved professionally into theater, he continues to think of himself as scientific, which informs his world view and helps motivate his choices. Diane graduated from Harvard to begin working for New York City officials, often monitoring City Council and other meetings. But she discovered she preferred the grass-roots, hands-on activities of interest groups and social work groups to the talk of the politicians. One of her early opportunities was to work with The Music-Theatre Group. Sleep No More (created by Punchdrunk, a British theatrical troupe) has few words and maximal abstract movement. The producers have put phenomenal resources into creating and presenting/performing the show, and none into advertising. The show itself, its creation, and its promotion are so radical that it could only be done successfully by someone who had climbed a steep ladder of development in this type of theater. It has an audience that has become a growing community. It is new-audience, audience-involved, immersive, site-specific theater. Diane Paulus, now the artistic director of The American Repertory Theater (ART), says the mission of ART is to expand the boundaries of theater. At ART, in addition to the shows that she has directed herself, the theater brought in Gatz, and Sleep No More to Cambridge, before they came to NY, and provided space for Once to workshop on it’s way to Broadway (and to this year’s TONY for Best Musical). Looking ahead to the next season, Diane is directing a revival of Pippin, something she has long wanted to do. The show did well in its original Bob Fosse directed 1972 Broadway version with Ben Vereen, but is better known now for less interesting subsequent revivals and amateur productions. Among the features that will energize this new production is the participation of the physical, agile troupe Les 7 doigts de la main (currently in New York with Traces). The Edinburgh Fringe Award-winning “song-play” by Jason Craig, with music by Three Pianos co-creator/performer David Malloy, directed by Mallory Catlett. With a mission to expand the boundaries of theater, a perfectionist’s desire to create visceral theater with movement and music, and superb taste, Paulus’ ART is creating one of the most exciting and important theaters in the country and the world. NY City is fortunate that some of the best shows directed by Paulus or playing at ART were created here or have come to NY -- via The Public Theater (Hair, Gatz), Broadway (Hair, The Gershwins’ Porgy and Bess, and possibly Pippin), and Randy (Sleep No More). 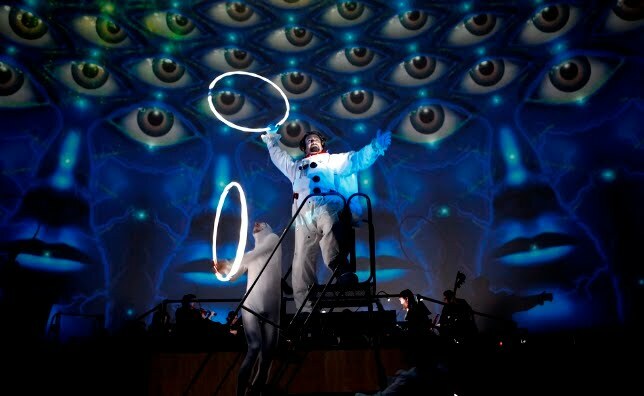 Diane worked with Tod Machover, (Director of the Opera of the Future group at the MIT Media Lab) directing his opera, Death And The Powers: The Robots' Opera. Randy co-wrote the story. Just recently, Randy worked with Tod and members of the Media Lab creating an experimental extension to Sleep No More, in which GPS and communication devices were embedded in the masks. This made it possible to communicate with actors and audience members remotely, and also to activate special effects in the rooms based on the proximity of either actors or audience members. This experiment, in augmenting the analog, live experience with computerized effects is ongoing. Sleep No More is not especially profitable, even with a large audience and sold-out shows and alcohol sales, because of its huge cast and staff and large running costs, and relatively inexpensive tickets. But it is at the center of a portfolio of projects in development for Randy and for EMURSIVE (the company producing Sleep No More – a partnership of Randy Weiner, Jonathan Hochwald, an expert in producing large scale shows, and Arthur Karpati, an expert in real estate) based on site-specific, audience centered, innovative theater, including the possibility of projects with more cast than audience, and sponsored projects that transcend old-fashioned ideas of theater. In addition to producing Sleep No More, Randy has written and produced many other shows, including a version of Caligula at LaMaMa, and work with Cirque du Soleil. He is co-owner and a manager of THE BOX and THE BOX SOHO, very expensive, late-night clubs with extremely sexual shows. Given the incredibly complex real estate deals that led to creating the “McKittrick Hotel” for Sleep No More, and the edge-of-the-allowed activities at THE BOX and the added international complexities of THE BOX SOHO, as well as other projects in development, Randy says with a grin, he does spend a good deal of his time with lawyers. He is interested in all possible ways of promoting (but not advertising) and “monetizing” his productions. He is interested in the disco and bar and night club scene. He is interested in sexual theater. He is interested in creating a show which begins as soon as you start thinking about buying tickets – the entire experience is part of the show. He is very very interested in preventing the audience from being bored. He is interested in classical theater and re-inventing it for modern audiences. He is interested in immersive, site-specific theater in fascinating spaces, music, physical action, visceral energy, and highly skilled performances. He is interested in experimenting. He is interested in being different. Immersive, site specific, interactive theater has a long history and a wide spectrum of variations – from Elizabethan country fairs to futuristic virtual reality computer games. Randy Weiner’s projects are currently among the most ambitious, the best executed and the most interesting and entertaining shows in the world. With a keen intelligence, an extensive background of experience, and a driving curiosity to experiment and create new theater, he is likely to keep surprising and entertaining and stimulating us -- this new audience for a new theater! 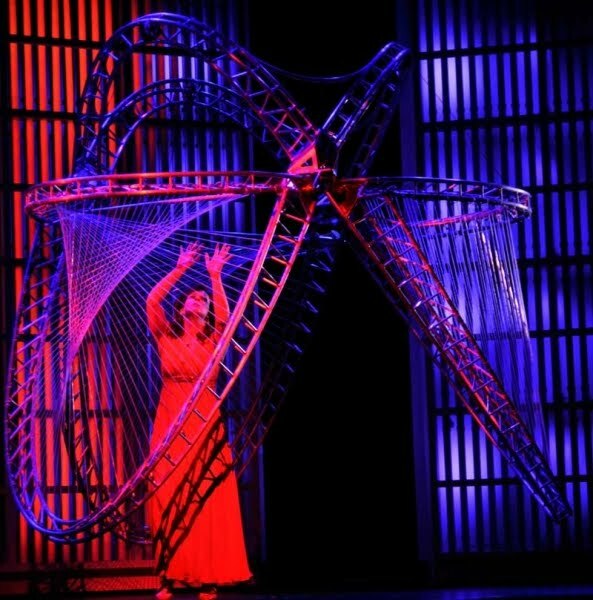 Cirque du Soleil's production of AMALUNA, directed by Diane and inspired by Shakespeare's The Tempest, is currently on tour in Canada. Public Theater, Delacorte Theatre, Central Park; Later on Broadway. The company producing Sleep No More is a partnership of Randy Weiner, Jonathan Hochwald, an expert in producing large scale shows, and Arthur Karpati, an expert in real estate. The Drama Desk Award winning immersive theatrical experience of Punchdrunk's Sleep No More is produced by Randy as a partner in EMURSIVE. 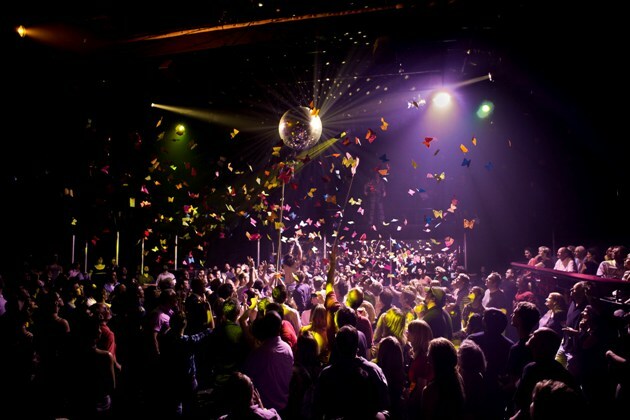 A disco adaptation of A Midsummer Night’s Dream, which has been produced in New York, London, Madrid, Geneva, Edinburgh, Helsinki, Seoul, and throughout the United States was conceived and co-created by Randy. Along with partners Simon Hammerstein and Richard Kimmel, Weiner created and continues to manage the highly sexual and very expensive variety theatre-nightclub. Collaborating with Director Diane Paulus, Randy's work includes the story for a robot opera, Death and the Powers, created by Tod Machover and the Opera of the Future Group at the MIT Media Lab. Developed and produced by the Music-Theatre Group, Women's Project, and American Repertory Theater, Randy created the book and lyrics. A troupe Randy established with Diane created more than 35 productions. The theatre-nightclub that is the second stage for American Repertory Theater was created and is managed by Weiner. 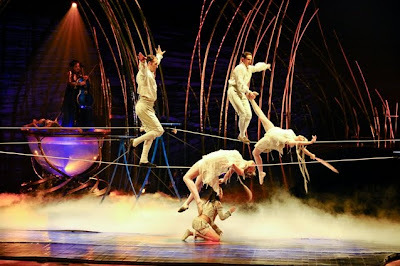 Randy collaborated with Cirque du Soleil. Randy has served on the Advisory Committee on the Arts at Harvard University and has lectured on theatre arts at Harvard, Columbia University, Barnard College, New York University, and Yale University. Co-Writer, with Alfred Preisser, Classical Theatre of Harlem. Co-Writer with Alfred Preisser, Classical Theatre of Harlem. Writer; with Music-Theatre Group, Vineyard Theatre. Writer; with the Bay Street Theatre. Writer; with Base Entertainment, Underbelly in Edinburgh. Writer; with Jordan Roth Productions. A Halloween extravaganza presented by CBS Radio in Times Square. QPORIT: DIANE PAULUS - IL MONDO DELLA LUNA, HAIR, A.R.T.